Mobility company NEVS unveiled their vision of a level 5 autonomous vehicle at the 2017 CES Asia show in Shanghai. The InMotion Concept is a design study for a driverless, self-navigating passenger vehicle. That means it does not contain a steering wheel or other user operated vehicle controls. The distinctive part about the InMotion Concept is how the interior layout can be configured to different uses through a mobile app. Before being picked up, passengers can orient the seating layout in one of three modes: meeting, social or private. The seats rotate and move to facilitate conversation in the round or face-to-face socializing. The app also offers users the ability to customize the interior lighting and information displayed on the interior glass panels. 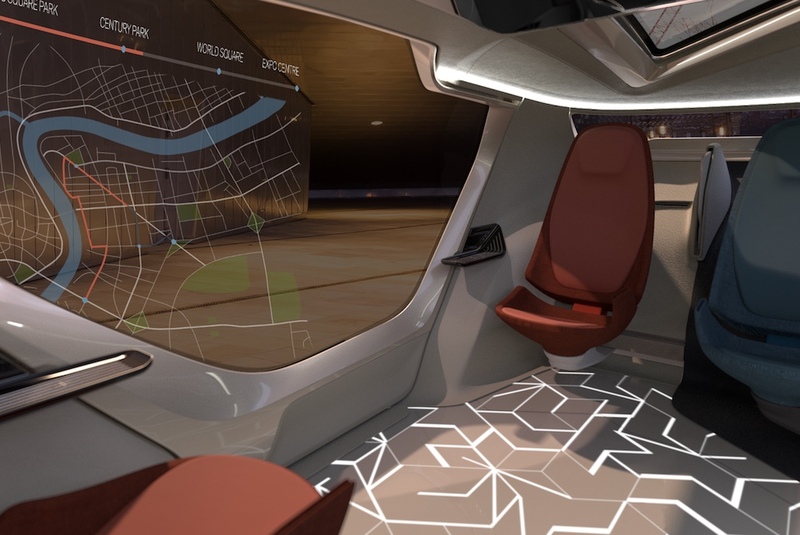 The InMotion Concept follows a couple of other autonomous debuts from BMW and Hyundai at CES Las Vegas earlier this year, which also focused on vehicle interior experiences.